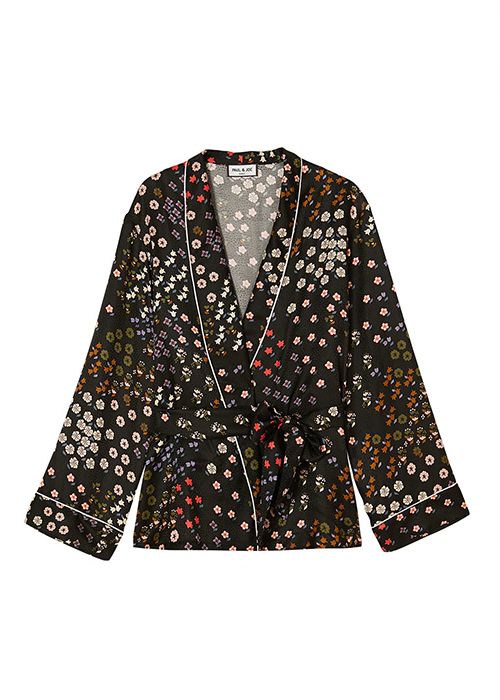 PAUL & JOE, Floral print kimono jacket. The shawl collar and cuffs are trimmed with contrasting piping detail. Fastened with an inner drawstring and a long tie waist belt.